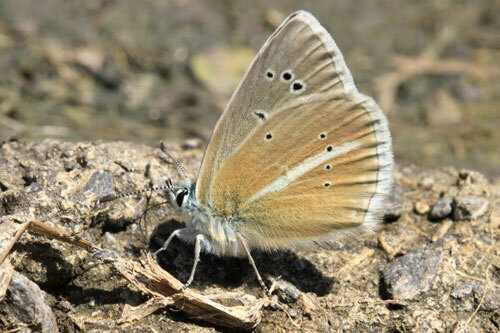 Often local but common in mountains. 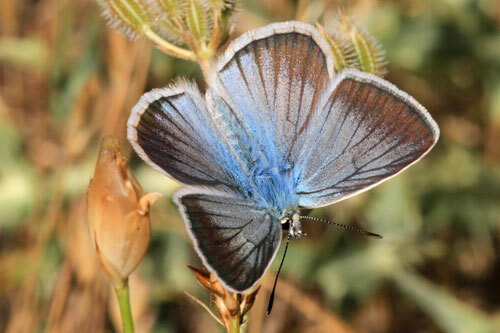 The gleaming male upperside is spectacular and the underside white stripe is distinctive. 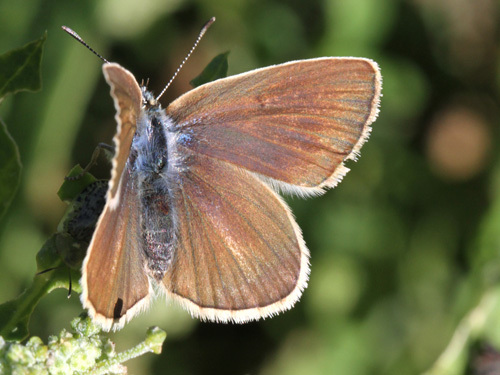 Identification & Similar species: The underside has a very bold white stripe which separates it from similar species. 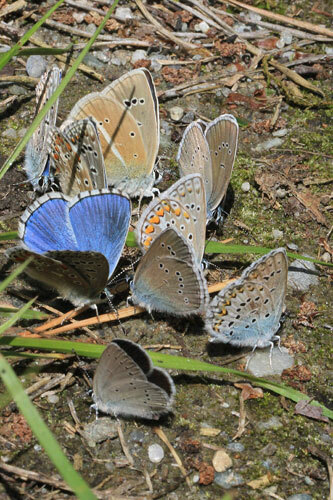 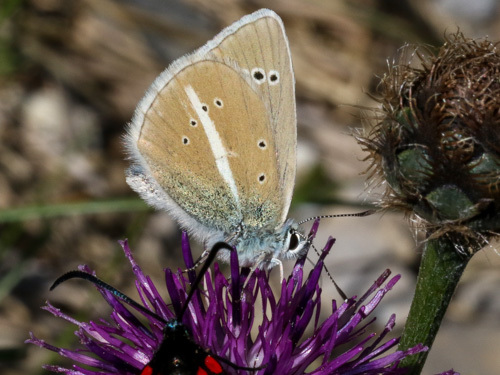 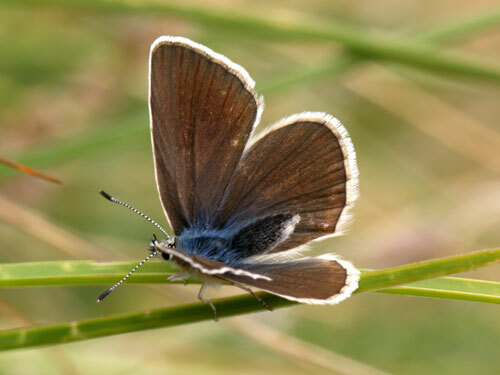 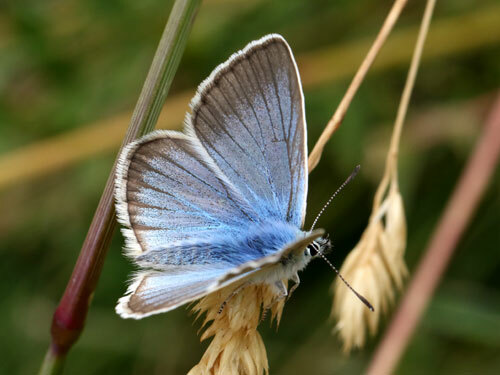 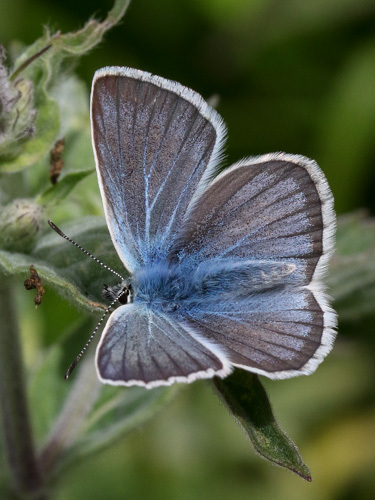 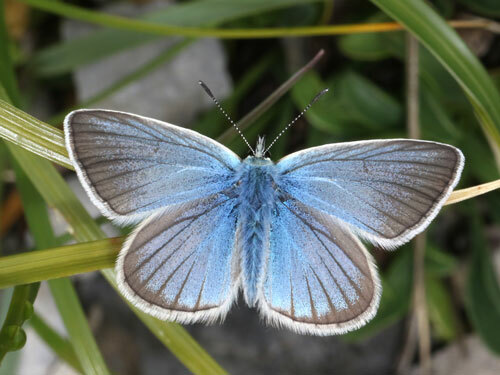 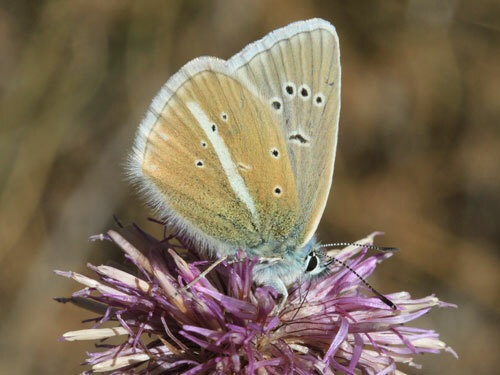 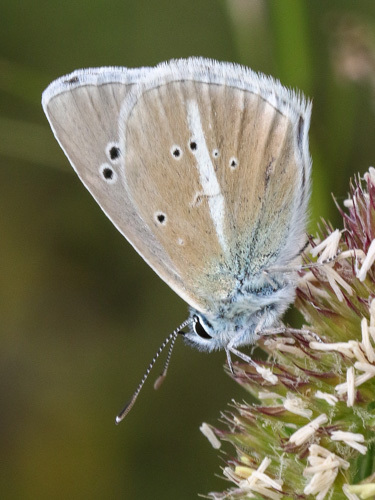 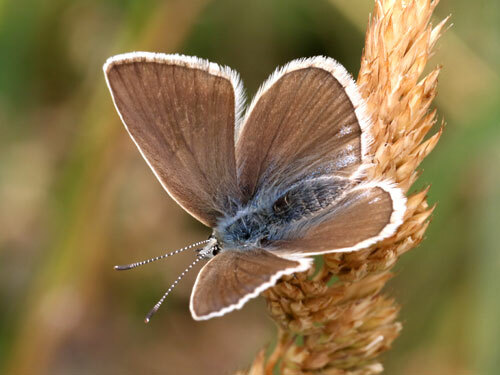 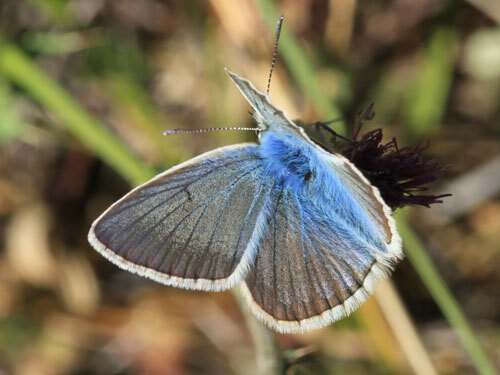 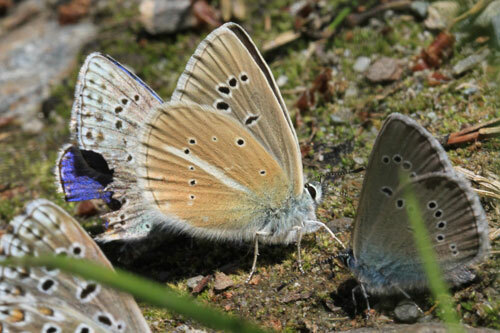 The male upperside is an intense bright blue with broad black borders which is also characteristic and will separate it from the superficially similar anomalous blues, Polyommatus species. 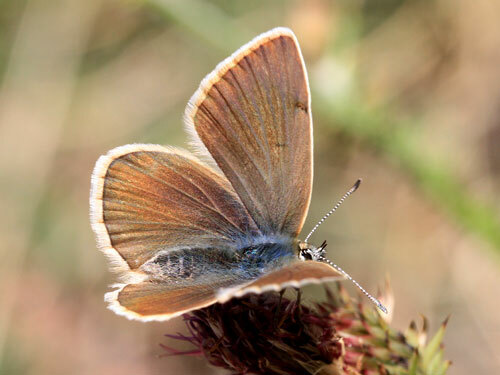 Distribution & Flight: A mountain species, from the central Spain, Pyrenees, Alps, Balkans and the Carpathians. 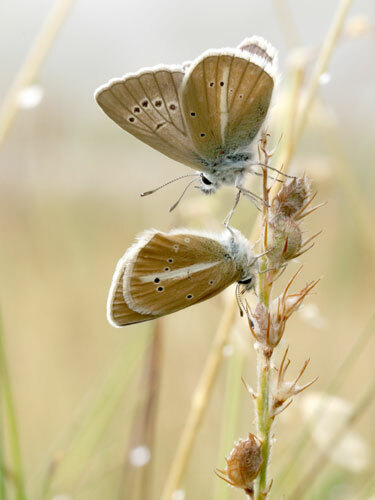 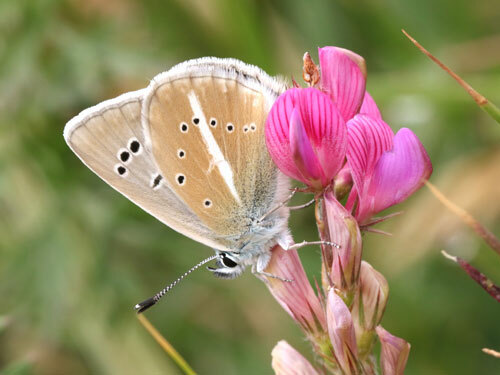 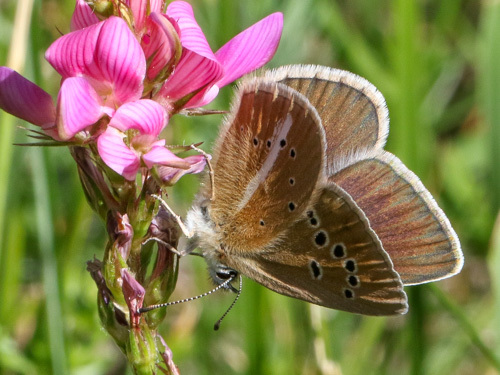 Habitat & Behaviour: It flies in open grassy places where it is strongly attracted to flowers. 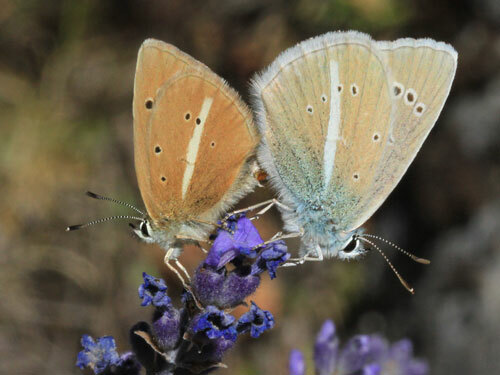 Variation: Form noguerae is found in the Montes Universales in central Spain. 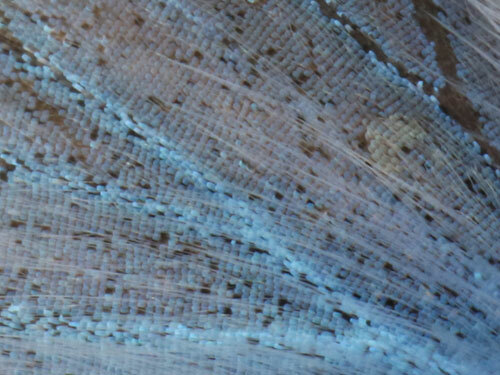 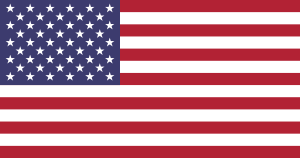 It is perhaps slightly paler than the nominal form.